Online Mattress Store ZBed Will Donate 5% of all proceeds to Marjory Stoneman Douglas Victims’ Fund. 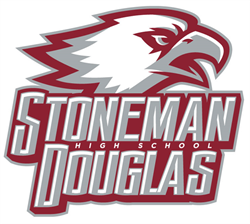 5% Donation all of sales to Parklands Stoneman Douglas Victims Fund. Frank Lucido the owner of ZBed LLC and an Alumnus of Marjory Stoneman Douglas High has been affected personally by this devastating tragedy and would like to help the victims out by donating 5% of all online mattress sales. Thoughts and Prayers are not enough in this situation, and here at ZBed, we wanted to do a little extra to help. 5% of All proceeds on future mattress sales, will be donated to the Broward Education foundation for Marjory Stoneman Douglas Victims and their families. ZBed believes we owe it to our teachers and our Victims' to keep everyone safe, especially when at school. Gun Violence is unacceptable on every level and the owners at ZBed want to be active in the change this country so deserves. The owners at ZBed are sending out much love and support to all the people and victim's in Parkland Florida.